All people watch other people. Some people make a career off of watching people and exploiting their weak points. Focus is about those people. For basically his entire life, Nicky Spurgeon (Will Smith) has been exposed to the world of con-artistry, learning the trade from his father and his father’s father. Nicky’s one of the best—maybe the best—in the business, building a medium-sized empire on small-scale thefts and jobs. Nicky’s world changes when he is the target of a botched con job by a woman named Jess (Margot Robbie). Immediately recognizing that her intended mark is someone she can learn from, Jess begs Nicky to take her under his wing, to which he acquiesces to. The more time the two spend together, the more feelings begin to crystallize and guards begin to be let down. In this life that Nicky and Jess partake in however, mixing love with business only makes things complicated. Con-artistry. Whenever it appears prominently in a film there should be one rule of expectancy: Never trust anyone, or anything. It is all a game within a game within a game. Does that get repetitive eventually? To yours truly it does, but that doesn’t mean there isn’t a joy-free ride to be had. Focus will likely not anything to remember years down the line, but if a hunger for who’s playing who is desired, it may satisfy it. 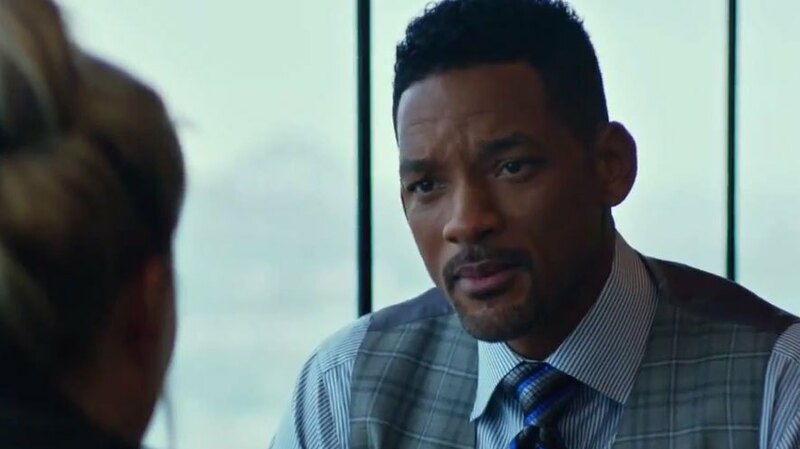 Directed by the tag team of John Requa and Glenn Ficarra (Crazy.Stupid.Love), Focus has a notable look and feel to it that meshes with the elements of the plot. Visually, the film is mellow and cool, super slick and effortless. The same can be said for the score and soundtrack which is real subtle and blends in with the background, whether it be the jazzy brass found in the New Orleans-set scenes or the softer rock and acoustic instrumental sounds lingering in the more personal scenes. This approach feels reflective to the career of a successful con-artist. One never brings attention to themselves or makes their intentions known, but their presence still has to be present in order to capitalize on their mark. Even when the plot becomes dull and sort of convoluted, a level of interest was still had on my end simply because of the scenery and sound. The plot does work initially though, especially in the first half. There is intrigue in seeing how these capers hit their targets, and the actual science used to do so. It is exposition and used heavily, possibly a bit too much, in spots but there’s no denying the fact that hearing Smith talk about the pull-off of the job is entertaining. Near the end of the first half, there is a Super Bowl sequence that is without a doubt the best thing about this movie, unpredictable and full of suspense. As close to describing it without spoiling, it is what The Gambler should have been in its high-stakes moments. Unfortunately, this moment serves as the climax for not just the first half, but the movie as a whole. It would be wrong to say Focus completely drags the rest of the way when the locale shifts to Argentina, but it does feel like it is in a holding pattern for a prolonged period of time, and the whole “Grand Prix” race job has nowhere near the interest of the Super Bowl ones. Near the end the pace ratchets up again with a few nicely pulled-off twists that help to clarify a some of the jumbled second half, but a point arrives when an extra few of them occur and it becomes hard not to start racking the brain as to how they work. Issues with the plot or not, Will Smith and Margot Robbie do solid enough work to mitigate them somewhat. Yours truly has never been the biggest Smith fan even in his heyday, but it is clear the man has star power. Obviously, his character of Nicky isn’t one to really connect with, and as such it is hard to in many ways care for him. There are bits here and there but nothing to really latch on to. But with that said, Smith’s character is supposed to be a poised, composed, never flustered individual with supreme confidence, and Will brings that to the table here without trying. About the only way where Smith, and Robbie for that matter, fail is with the humor. So many lines falls flat (subjectively) and there’s a feeling that Requa and Ricarra believe this film is funnier than it is. Still, he shares a noticeable amount of chemistry with Margot Robbie. Robbie is more than fine here, but she doesn’t get the material (in my opinion at least) to work with like she did in say, The Wolf of Wall Street to be more than a generic romantic interest. Still, being here and starring with Smith lays a nice foundation chemistry-wise for something called Suicide Squad. Endless twists abound, Focus is held together together by a game Will Smith, Margot Robbie, their chemistry, and an effective technical presentation. Never trust a con, or a con movie for that matter. Photo credits go to movietalkies.com, variety.com, and aceshowbiz.com. It had maybe one too many twists for its own good. But for what it’s worth, I had fun with it. Nice review Jackson. Appreciate it Dan. At least it kept us on its toes for the most part right? It still sounds a little intriguing. Will probably give this a go at some point. Good review! Thanks man. I figure if you like the occasional con movie you’ll find some things to like here. Thanks Jordan! I wouldn’t say I was enamored with this, but as a whole, I’m not mad that I gave it a view. Its first half is pretty fun. Nice review man! I’m also a reviewer myself, would you mind checking out my site? Nice review Jackson. So far I haven’t been too tempted to see this one. 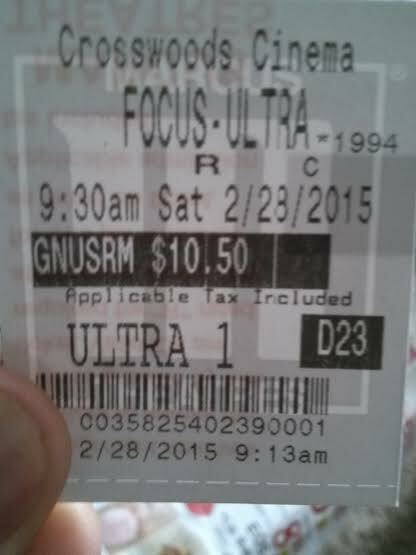 Maybe if I have time after Chappie I’ll give it a look. Yes! Chappie is #1 on the priority list. If I don’t catch it this weekend, early next week for sure. You should be in no rush whatsoever to watch this one lol.